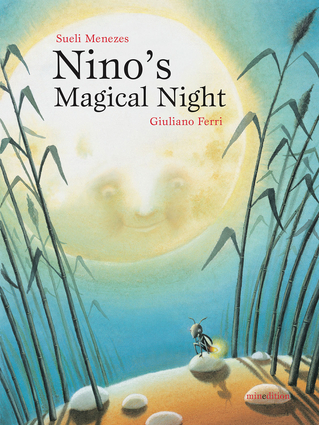 An exquisite book with glowing colors that shows that what seems impossible for an individual can be achieved through cooperationNino, a little firefly, glows brightly each night. Yet the moon shines much brighter than a single firefly. But what happens when the moon gets tired? Can Nino make his dream of lighting up the entire night sky come true? Enchanting illustrations with flashes of metallic ink enhance this captivating bedtime story about friendship, trust, and the inspirational power of many working as one. Sueli Menezes is an artist and a writer. She is the author of The Blue Butterfly and The Very Best Dad. Giuliano Ferri is an artist, an animator, and an award-winning illustrator of many children's books, including The Animals' Christmas, Ant and Grasshopper, The Apple King, Best Friends, and The Magic Book. He is also the author and illustrator of Little Tad Grows Up; Mummy, Mummy, Where Are You? ; and Night, Night, Sleep Tight!